Once the bedroom suite was finished, it was time to build a house around it. 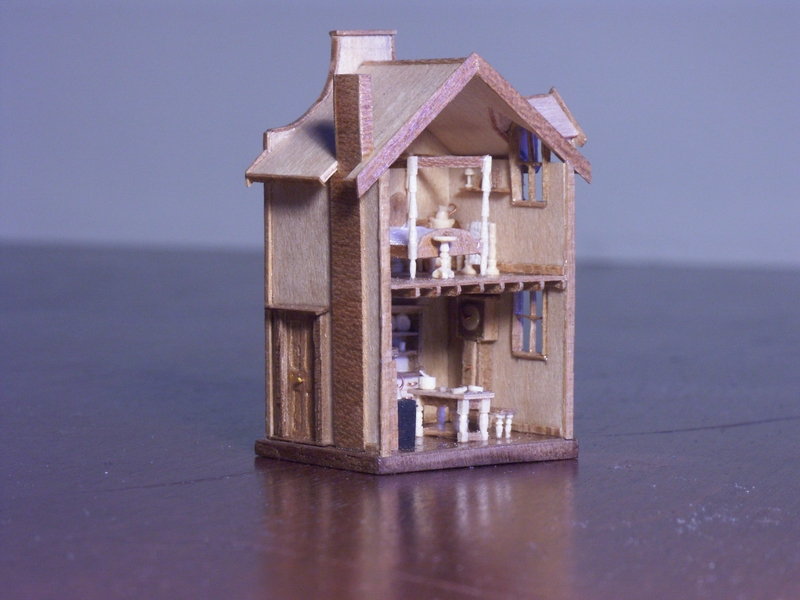 1/144 scale details include hand-sawn floorboards and joists, stove and fireplace in ebony, and a two-person setting on the kitchen table which includes cutlery. The spoons and knives are made from small strips of tin-plated copper, with squashed ends!